A lot of our shoppers ask for high-end client gifts to impress cherished patrons who have been by their side for a long time. At Promo Direct, we understand the importance of maintaining client relationships and ensuring they last for a lifetime! We make sure our shoppers have access to the best giveaways that can last for years and are capable of impressing clients in the corporate world. 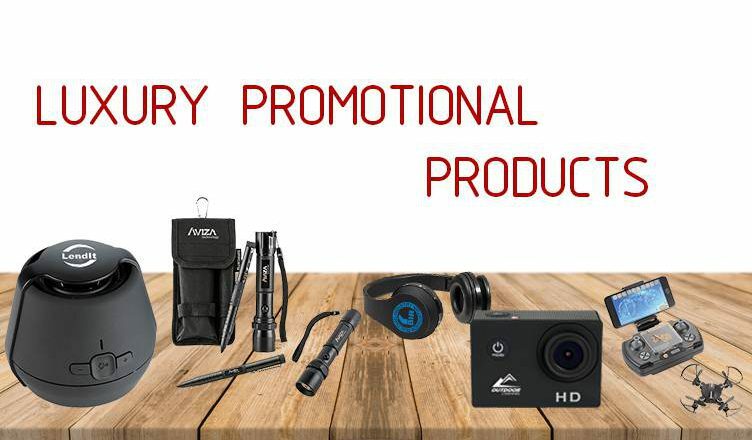 Featured below are 7 luxury promotional products that will impress your favorite customers in quick time! A lot of these products come with FREE 24 Hour Rush Service to ensure speedy delivery to your doorstep! This 9-piece wine set comes in a polished wooden case for compact storage. It features an ergonomic bottle opener, a foil seal cutter, a drip ring, a thermometer, a pourer, 2 wine stoppers, and 2 replacement corkscrew bits. It’s the perfect gift for wine and party lovers! What’s more, your logo will be engraved on the metal plate for easy visibility. Made of ABS Plastic, these headphones come with a built-in microphone for hands-free calls. It features around 8 hours of playback time. This product also comes with a USB charging cable and is compatible with all Bluetooth devices. This 3-piece adventure gift set is a desirable giveaway! It comes with a 5-in-1 aluminum utility pen, a flashlight, and a power bank. The pen features a sim card needle, a bottle opener, a dual head screwdriver, and an emergency glass breaker. This set comes in a 600d polyester pouch with belt loop. The Wifi Remote Control Selfie Drone is compact and comes with a 480P camera capable of taking videos and photos. The Wifi function allows users to control the drone as well as camera function with their smartphones. Images and videos can be transferred to phones immediately. The drone can fly up to a height of 160 ft. for a duration of 7 minutes on a single charge. The drone can be fully charged in 30 minutes. The product comes with 2 AA batteries. This HD action camera comes with a 2″ LCD screen. It comes in a waterproof case with helmet mount and a handlebar mount. Made of ABS Plastic, recipients will fondly remember your brand when they click pictures with this durable camera! The Black flask set comes with a 6 oz. flask and a funnel. The product comes neatly packed in a good-looking presentation box. Made of metal, this flask set is built to last years! We hope you found the gifting options featured here useful for your clients. Go ahead and place your order or get in touch with us to learn more about our range of client-friendly giveaways!